The Heisenberg uncertainty principle and the Heisenberg certainty of a shooting gun for elementary school physics principles. - Website of zinser! The Heisenberg uncertainty principle and the Heisenberg certainty of a shooting gun for elementary school physics principles. We live in an atomic world. The Earth geography surface is composed of atoms. Humans are composed of atoms and breath oxygen atomic computer base 16 hexadecimal mass. In year 2013, Nature expects humans to understand modern Margaret Mead atomic nuclear family law ...... the social science laws and limit laws of the periodic atomic table government of life. This is not happening. Nature sends messages to school systems. Nature sends the message in attention getting tragic FORMAT. The tragic message is resent to another school. The message is ignored. Some simple reasons are printed in the newpapers; while many causal factors are carefully omitted from the incomplete, biased explanations of the tragic EVENT. Let's look at a tragedy of the Department of Education caused by their failure to do their homework in basic elementary physics ..... Nature's prerequiste to teaching elementary school atomic particles in bio-physics CH format ...that is organic molecule CH = Carbon-Hydrogen CHILD structures. Let's look at modern theory concepts and Nature's new atomic social engineering control systems. How Stuff Works "Heisenberg Uncertainty Principle"
How Stuff Works .............. gun .............. Principle. How Stuff Works "Hochsprung elementary Principal. Heisenberg Uncertainty Principle relates to how we affect a particle we're attempting to measure. 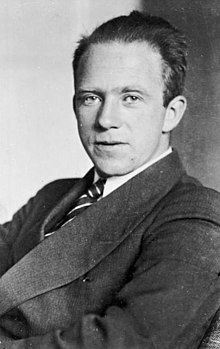 Learn about Heisenberg's Uncertainty Principle. Moreover, the better position is known, the less well the momentum is known (and vice versa). Thus we see that humans and human events are subsets embedded within the larger system architecture of Nature and the EARTH LAB atomic /astrophysics continuum. GUT = Grand Unified Theory and TOE = Theory of Everything must consider the Sandy Hook elementary school event as empirical data data to TOE theory ...especially with the data signal coming the geography / quantum state of CONNECT interrupt CUT = CONNECT i CUT. Will Washington, DC allow scientists to study the Sandy HOOK periodic atomic table .... atomic families problem? The message is expected to be ignored.